Winner of the prestigious PEN/Bellwether Prize for Socially Engaged Fiction, And West Is West is an inspired novel about the devastating power of new technology to corrupt innocent lives. When Jessica, a young Air Force drone pilot in Nevada, is tasked with launching a missile against a suspected terrorist halfway across the world, she realizes that though women and children are in the crosshairs of her screen, she has no choice but to follow orders. Ethan, a young Wall Street quant, is involved in more bloodless connection to war when he develops an algorithm that enables his company's clients to profit by exploiting the international instability caused by exactly this kind of antiterrorist strike. Though only minor players, the actions of these two people have global ramifications that tear lives apart-including their own. When Jessica finds herself discharged from the service, and Ethan makes an error that costs him his job, both are set adrift, cast out by a corrupt system and forced to take the blame for decisions that they did not make. 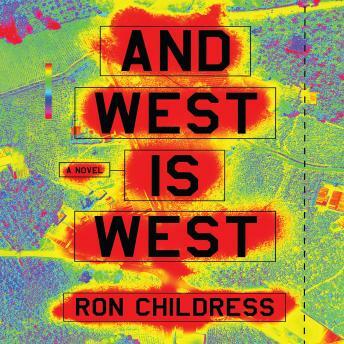 In And West Is West, Childress has crafted a terrifyingly real scenario that takes readers into the lives of these characters living in different worlds yet bound together by forces beyond their control.